The slim, linear base of the Veletto medium table lamp is a signature design feature from this striking, contemporary range. Illuminate your interior with this on-trend design with brushed antique detailing adding a glistening design detail. 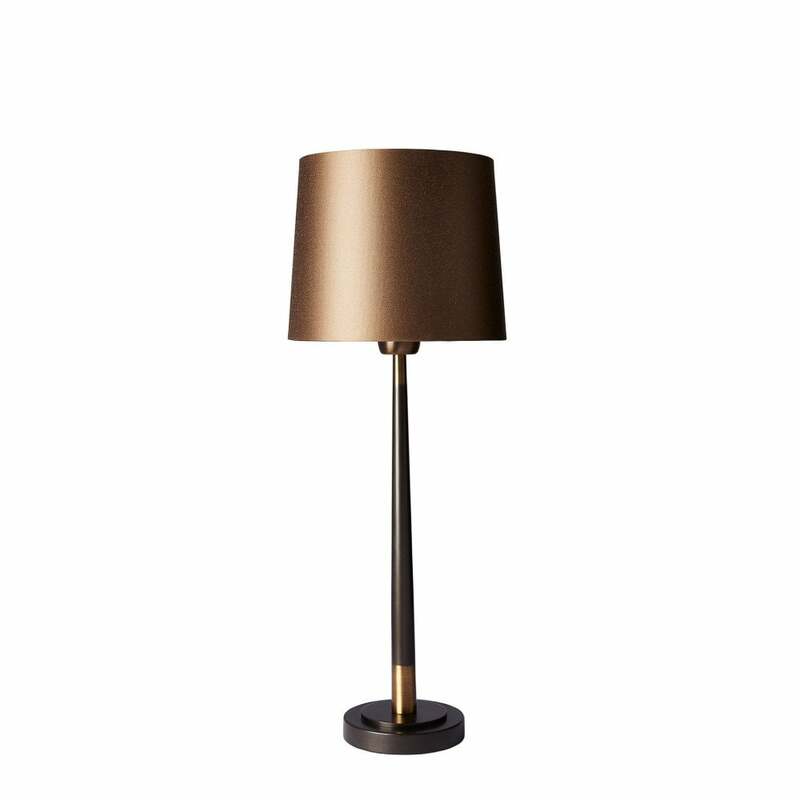 The Veletto range also includes a large table lamp, floor lamp and wall lamp to extend the visually elegant design. Style this alongside brushed metallic and golden hues for a warming, ambience. Further enhance your interior by adapting the colour way and finish of the lamp shade for the ultimate complementary design feature. Priced for 8" Roman Drum shade in silk with white PVC lining. Please contact us for other options.